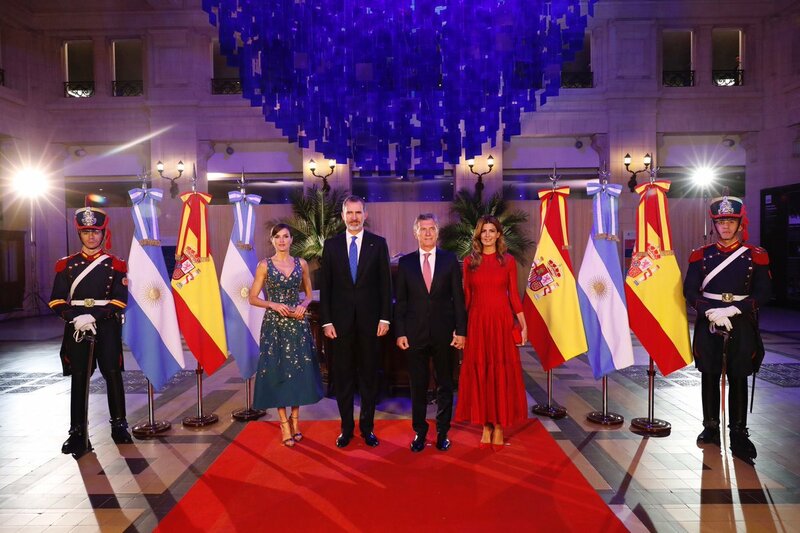 On Monday night, King Felipe and Queen Letizia of Spain attended gala dinner hosted by the President and First Lady of Argentina.Earlier in the day, Couple was officially welcomed by the President Mauricio Macri and the First Lady Juliana Awada. 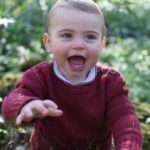 The dinner was attended by the delegates of both countries. 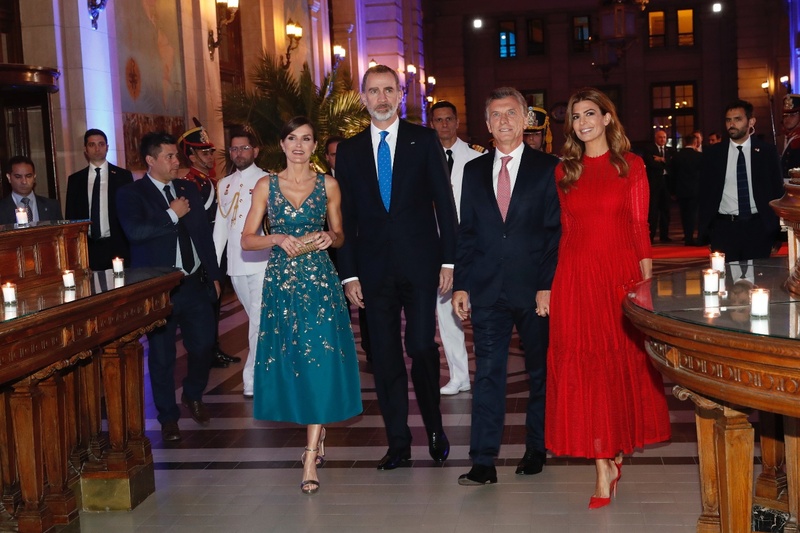 Queen Letizia with the first lady of Argentina Juliana Awada. 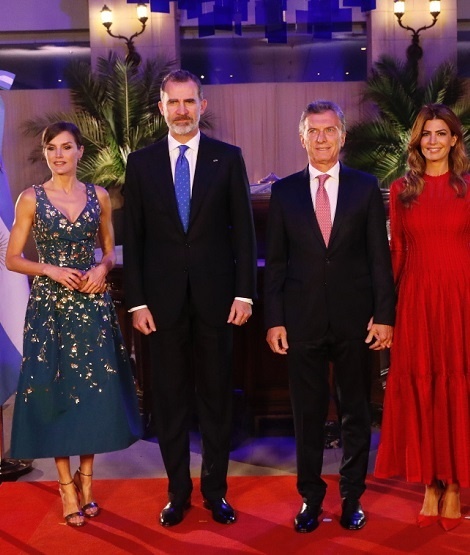 Addressing the gathering, King Felipe said, “The priority nature of the relations that unite Spain and Argentina, is based above all on the presence of a shared identity and the existence of common interests. 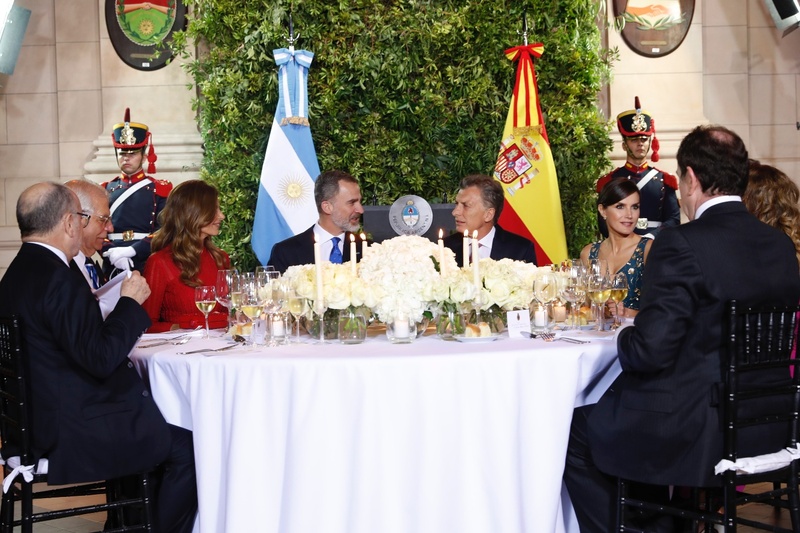 Argentina and Spain are firmly committed to the objectives of the 2030 Agenda for Sustainable Development and the implementation of the Paris Agreement. We will continue to intensify our cooperation in the face of a challenge in which we can not take a single step backwards and in which there is no time to lose; cooperation that we have been carrying out both bilaterally and within the framework of the European Union’s program “Euroclima” and the Ibero-American Network of Climate Change Offices”. A view of the Dinning table. 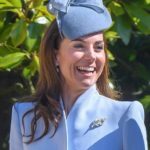 For the evening, Queen chose a glamrous yet elegant look showing why she is also known as Queen of style. 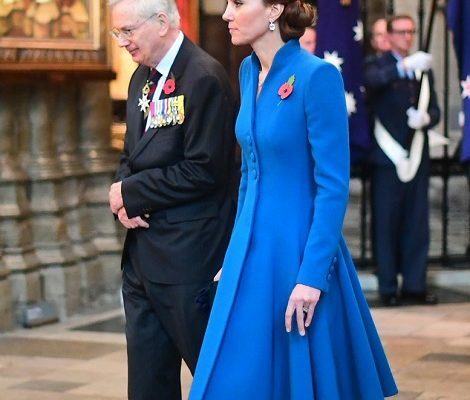 She wore a custom blue embroidered dress from Carolina Herrera. 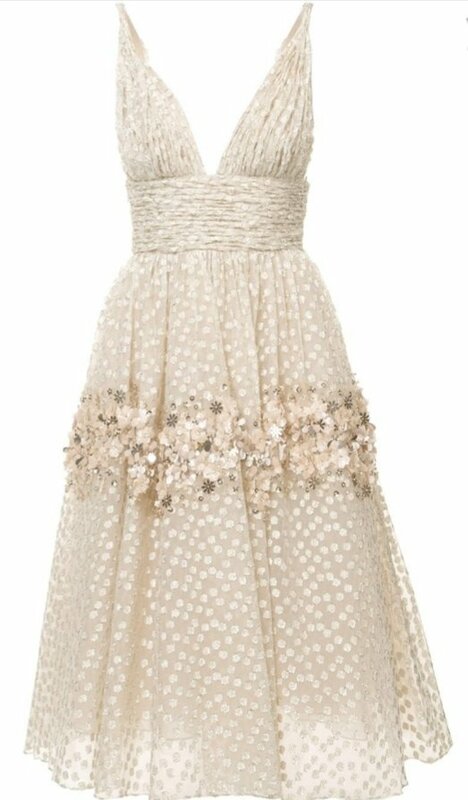 The sleevless gold tone embroidered midi dress features a sweetheart neckline, a self-beleted tie mid section with an A-line skirt. 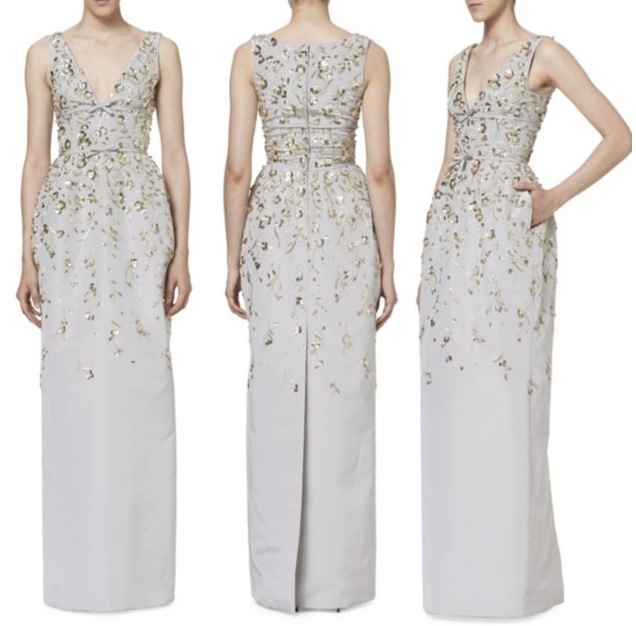 The dress was based on label’s Silk embroidered gray gown available on Saks Fifth Avenue. The belted mid section was also featured in label’s old collection. 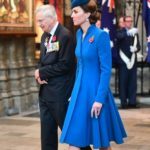 Letizia paired the dress with golden accessories and shoes. She was wearing golden sandals. S.M. 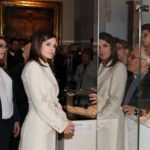 ReinaLetizia Blog noted on twitter that Letizia might be wearing Jimmy Choo’s Misty 120 sandals in Golden tone. 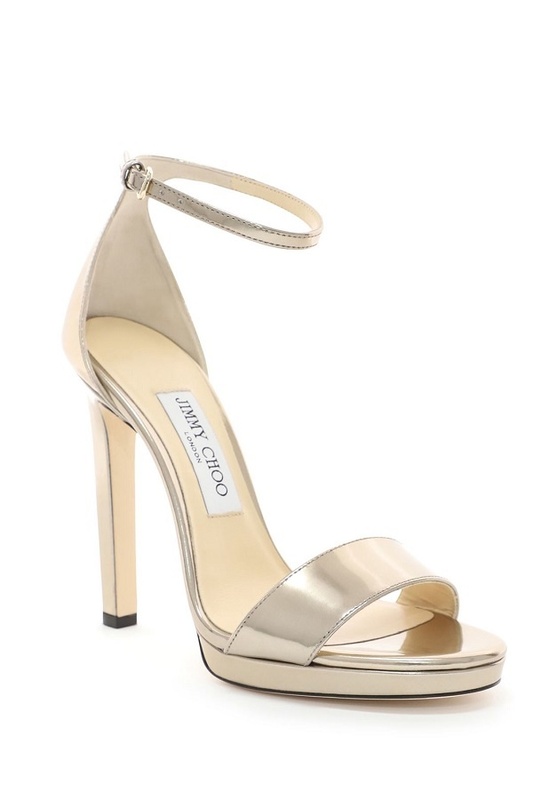 The $850 Sandals are available on Jimmy Choo online store and Harrods. Queen was carrying a matching golden clutch. It is Carolina Herrera Metropolitan Insignia Small Clutch. 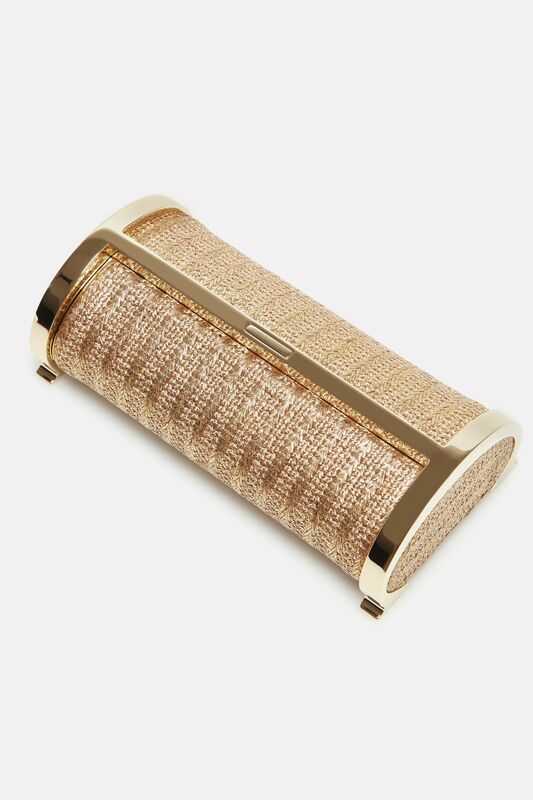 Handcrafted in raffia with a metallic finish and presents a distinctive light gold plated frame cast in the shape of House of Herrera’s 35th anniversary bracelet the clutch is available online for €690. 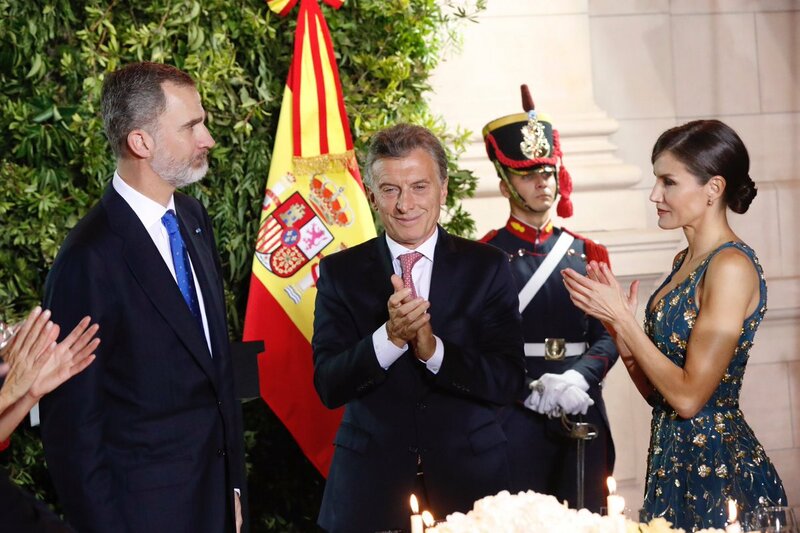 Letizia finished her look with a pair of gold and diamond earrings that she has since the early days of her marriage. 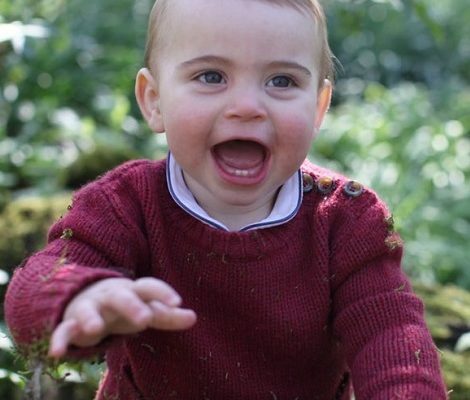 Embed from Getty ImagesI will leave with another beautiful picture of Queen and First Lady.